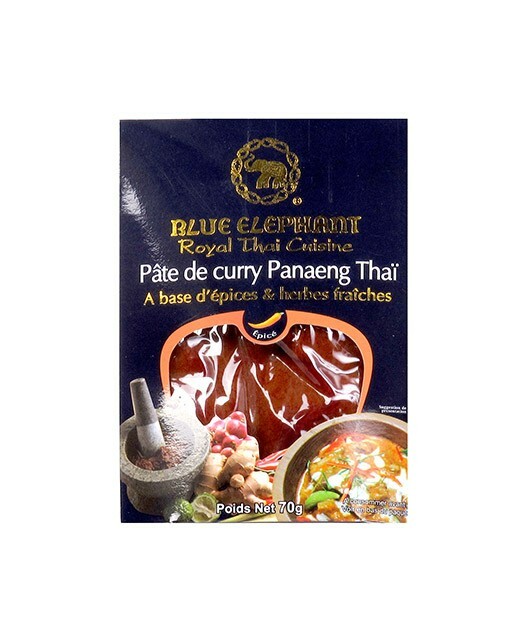 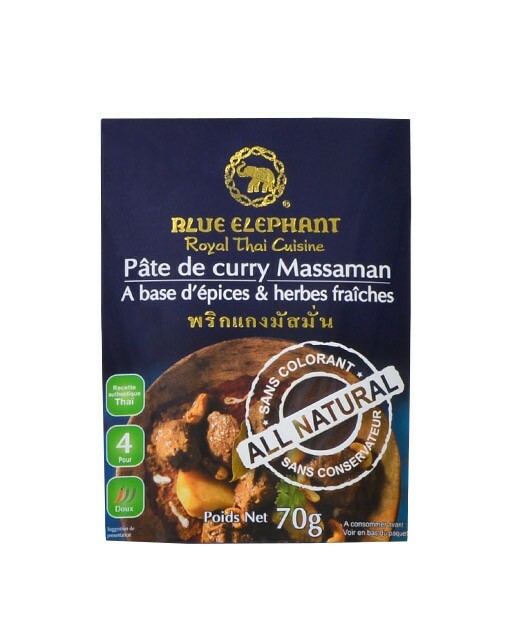 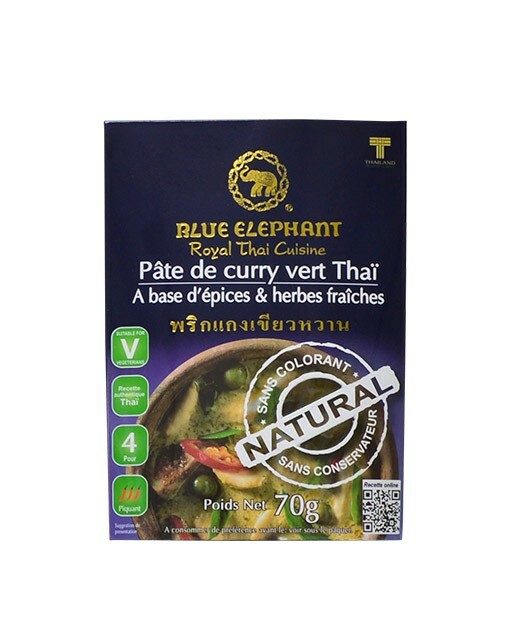 Concoct a true Thai meal with the fresh products of your choice thanks to this Blue Elephant Thai basil paste. 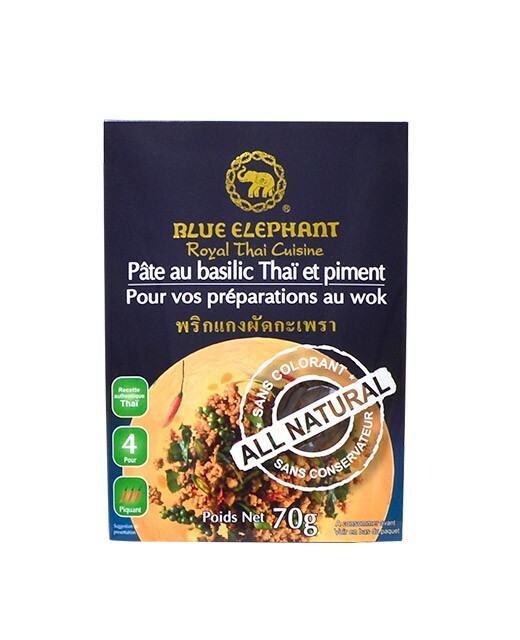 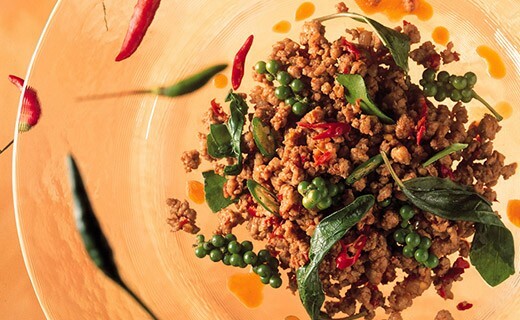 Sautéed in a wok and livened up to your liking, your meal based Thai basil paste will enable you to elaborate a delicious spicy Thai basil sautéed. 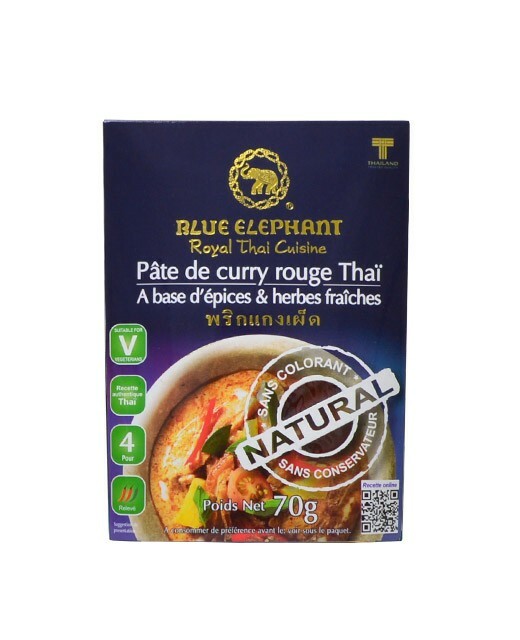 Soy oil 19,1%, garlic 16,4%, sacred basil leaf 13,6%, sugar, shallot 9,6%, chili 9,6%, salt, galangal, dried red chili pepper, shrimp paste (shrimp, salt) 2,7%, lemon tree fruit, acidity regulator (E330).